Do you face difficulties in providing more accurate reporting and analysis? Are you unable to identify the latest trends, market conditions and respond quickly to change? Having problems in optimizing internal business process and driving decisions? Do you have troubles in obtaining important business reports? Is it challenging to convert raw data into actionable insights? Well, in such a scenario, the powerful Business Intelligence system can come to rescue! 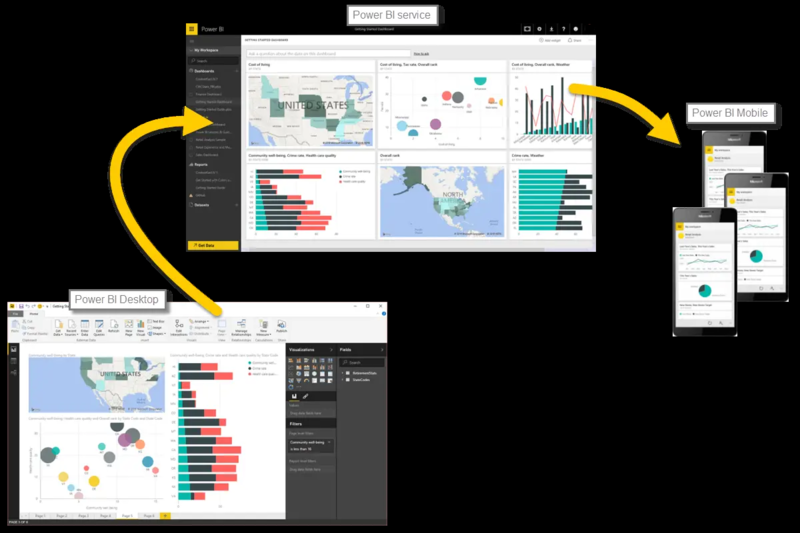 Well, let’s understand, why organizations prefer to use Power BI? Companies like Dell, Wipro, Metro Bank PLC, Edsby, Oraylis, Vizion solutions and many more are already using Power BI consulting services to grow their businesses. Embed stunning visuals in apps, portals, websites, etc. Power BI Mobile Apps: Power BI offers a set of mobile apps for iOS, Android and Windows 10 mobile devices, where you can view, interact and securely access reports, dashboards, and other data on the go – all in one app.